It has been three years since HIM last played on the shores of the UK, with a lot of uncertainty whether they would continue as a band due to drummer Gas having arm splints that prevent him from playing. Also, earlier this year singer Ville Valo contracted pneumonia and things didn’t look good for the love metal band. But after the release of the band’s latest offering, Tears on Tape, everything seemed to fall back into place for them. October 28 saw them playing Southampton Guildhall with support coming from Massachusetts instrumental band Caspian—a band whose post-rock sound seemed to fall short of getting the crowd of die hard HIM fan’s ready for their favourite band. This wasn’t because they were a bad band but there was just something lacking from their set, maybe it was there was no real connection with the audience? 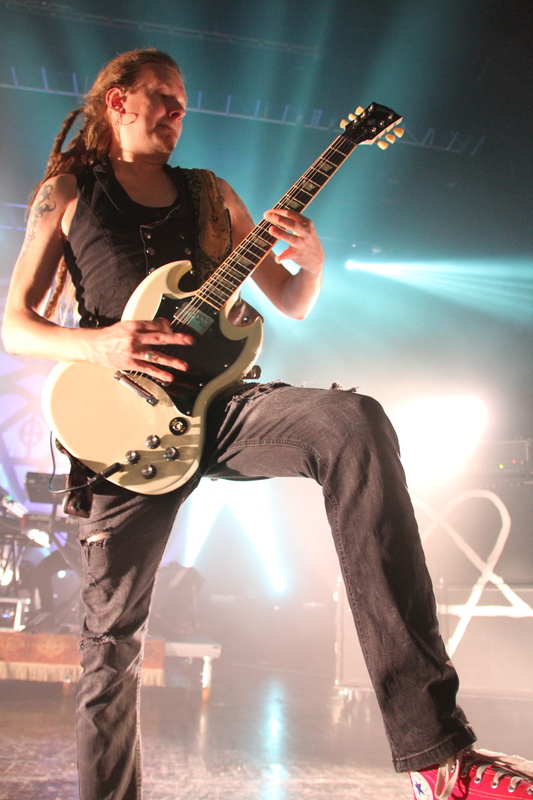 As HIM took to the stage bursting into the new song “All Lips Go Blue,” it was clear that the break only made them tighter as a band, and that Ville has developed as a front man, now opting to pick up the acoustic guitar which brings a new dynamic to the live set. Although this tour is to promote the new album there was something for everyone with a lot of variety in song choice. Personal highlights were “The Funeral Of Hearts” and “Join Me In Death”. The show ended with “When Love and Death Embrace,” which was the perfect note to go out on. It is clear they have been through a lot in the past three years but it has only made them a stronger band;if you were lucky enough to see them on this tour then you will know. If not, then I suggest that you catch them when they return to the UK next time. You won’t be disappointed. Live review and photos courtesy of David Rutherford.